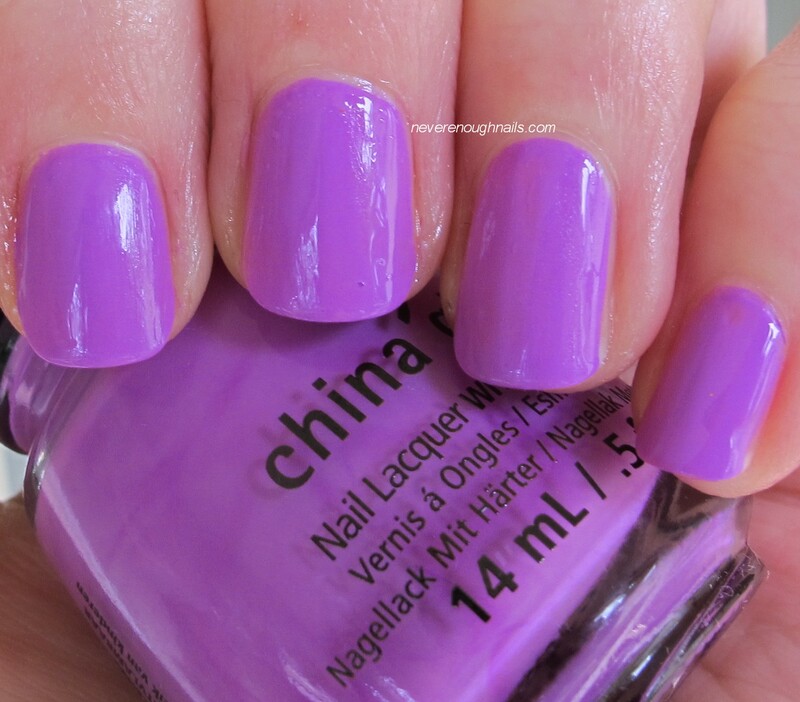 Never Enough Nails: China Glaze Sunsationals Part I! There are few polish collections that I look forward to as much as the annual China Glaze neon collection. Over the years, many of my favorite summer polishes have come from these collections. This year, I bought 5 from the Sunsationals collection and I may decide to pick up one or two more. I started off by swatching China Glaze Sun of a Peach. This is a rather aptly named neon peach creme, as you may find yourself uttering a phrase that sounds a lot like Sun of a Peach while applying this polish. The color of this polish is incredible, it's such a bright peachy color that is unique in my stash. The formula of Sun of a Peach is the problem here. It's incredibly streaky and sheer too. This is four coats and it really needed four coats to hide any streaks and cover any sheer spots. I found that I needed to let the coats dry completely before applying another coat and maybe go a tad thicker on coats than I normally would. I do think the awesome color is worth the effort occasionally, but I won't be busting this bad boy out on a daily basis. I rated this average on the application because I was able to make it come out ok, but it really leans towards poor. China Glaze Highlight of My Summer is a pretty awesome bright mint creme. It's not quite neon, but it is definitely brighter than most mints we've seen this season. It is brighter than my pictures show and wouldn't photograph nicely, as is often the case with brights. It did give me some lobster hands, but I will wear it anyway! Although I rated Highlight of My Summer average (the same as Sun of a Peach), the formula is better on this one. It only needed three coats and it was almost OK on two. The streakiness was much much less than Sun of a Peach and it wasn't nearly as sheer. I would say this leans more towards good/average, rather than Sun of a Peach's poor/average. I was really hoping China Glaze That's Shore Bright would have a good formula, because it's a color I really want to wear quite often!! 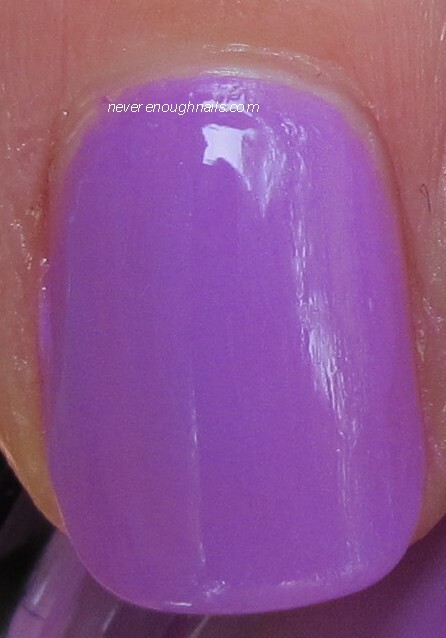 Fortunately, this neon medium purple did not disappoint!! I love this color! It reminds me of My Little Ponies for some reason (that's a good thing, cause I love me some ponies). This is three coats, but I really didn't need a third coat. That's Shore Bright was note streaky and opaque in two coats. I already have this on my toes!! So pretty! (The bubble you see on my middle name is from my stupid Poshe. I need to stop using it). I have two more Sunsationals to swatch right now and I hope I'll have those up in a day or so. Do you have your eye on any of these? Do you love the neon collections as much as I do? 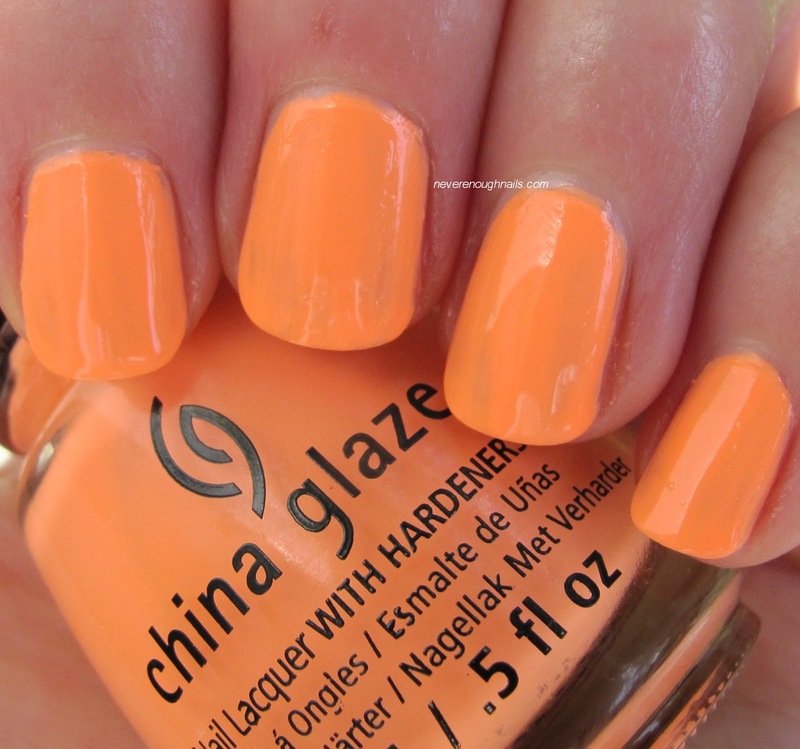 China Glaze Sunsationals is available at a Sally Beauty near you! I bought Sun of a Peach and Highlight of my Summer recently, and yes, I absolutely agree. Sun of a Peach is a gorgeous shade, but it is a pain in the you know what, to get it to look good, and Highlight of my Summer is the most stunning mint green I own, and the application was a little easier for this one. Great Review! Thanks Ale! I do wish Sun of a Peach was easier to apply! And I agree about Highlight of My Summer- stunning! !